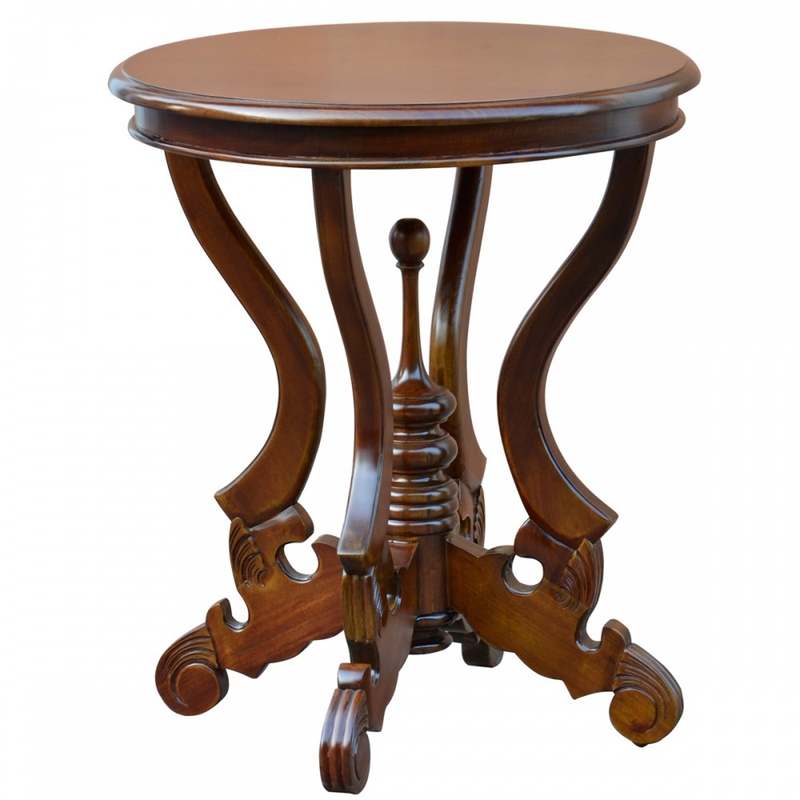 Add a classy feel to your home with this beautiful Nutmeg Mahogany Table. Complete in a brown colour and made from Mahogany this table will bring a classy and antique French style theme to your home with ease. The base of the table is complete with a pillar design and it will sit perfectly in any room. Made to the highest quality this table is a must have addition in any home.